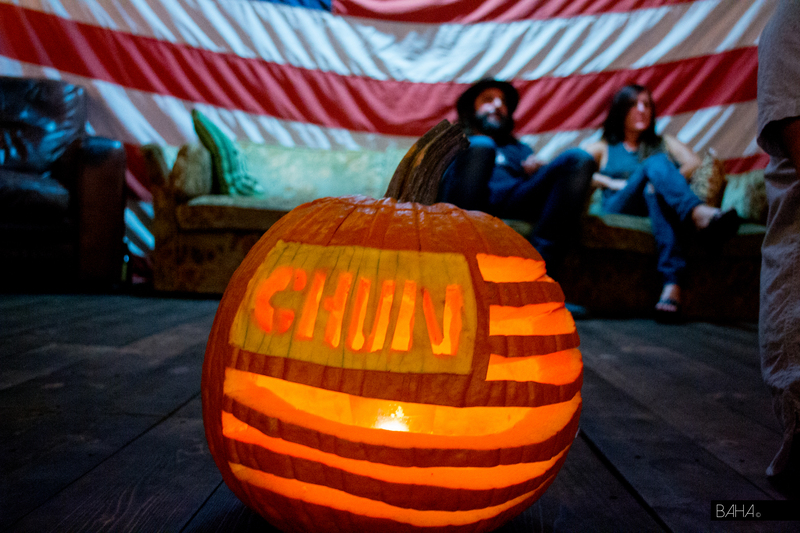 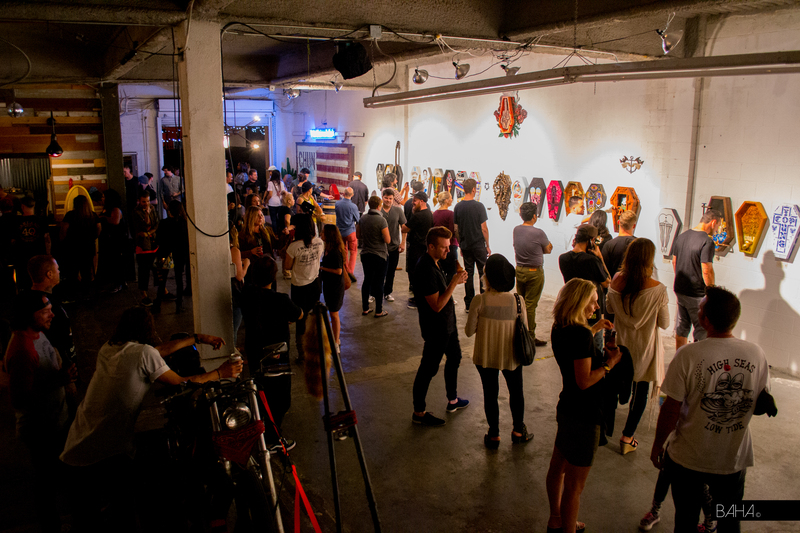 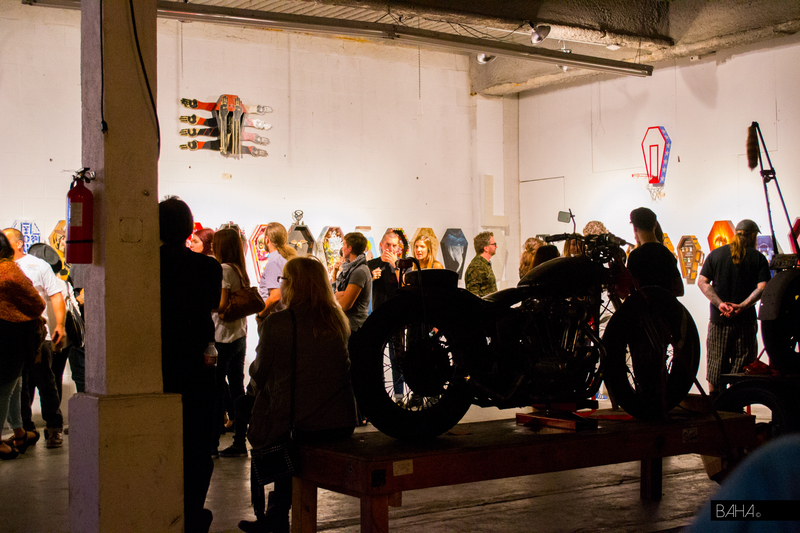 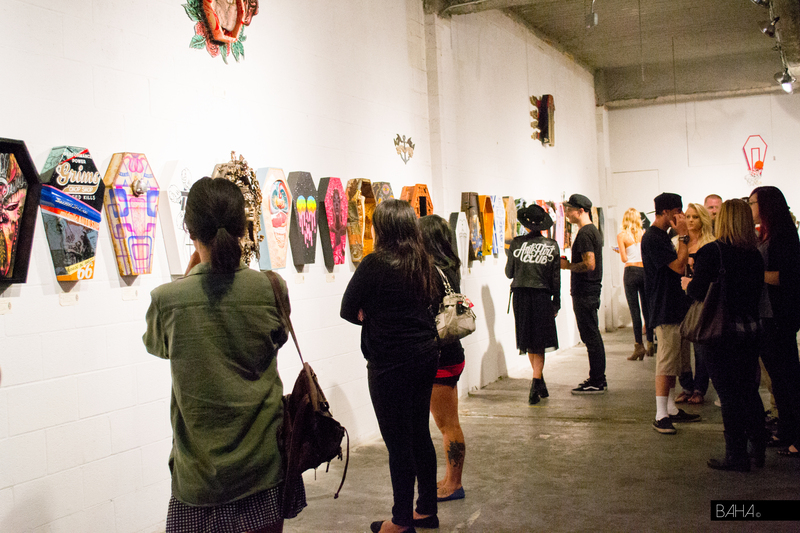 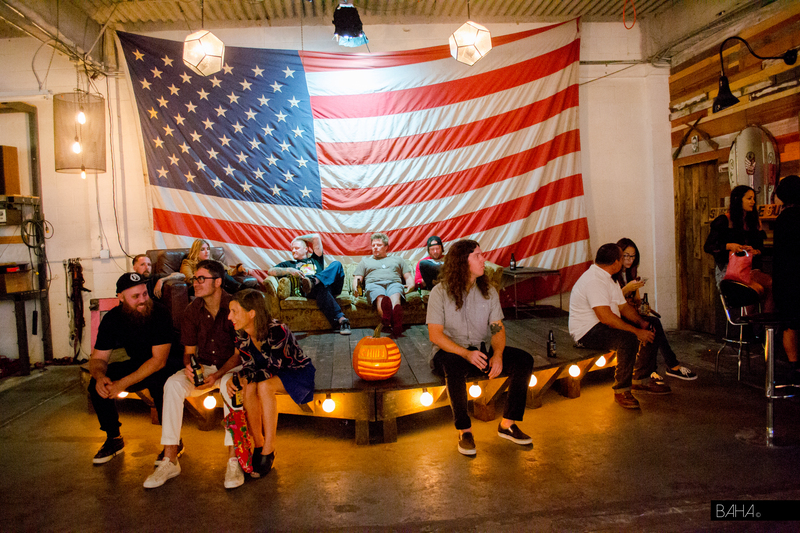 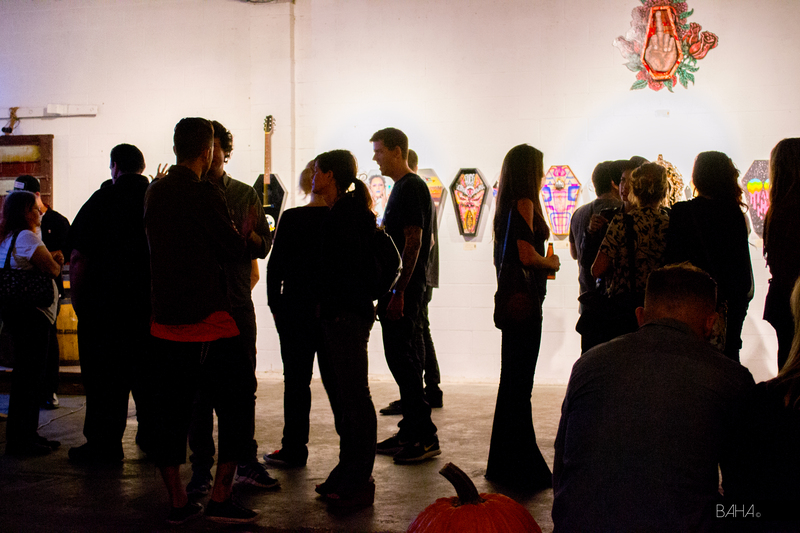 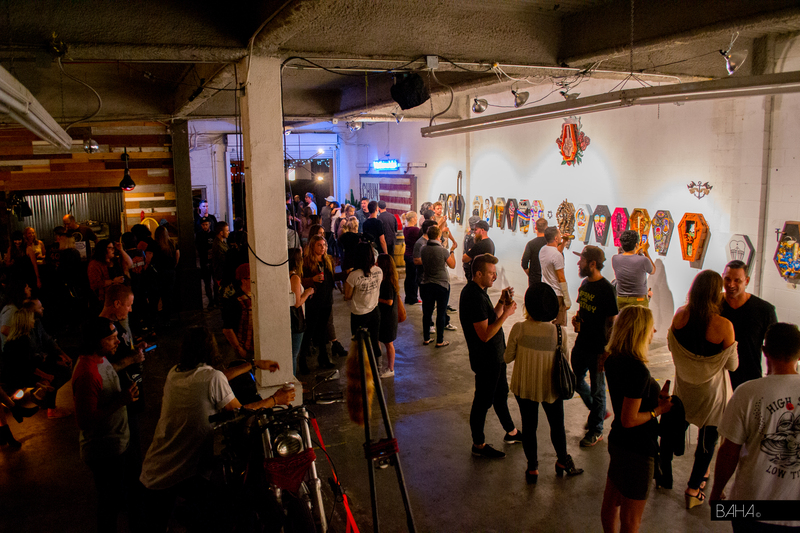 On October 11th world-renowned painters, illustrators, graphic designers, motorcycle builders, tattoo artists, and print makers took over The Chun in Los Angeles. 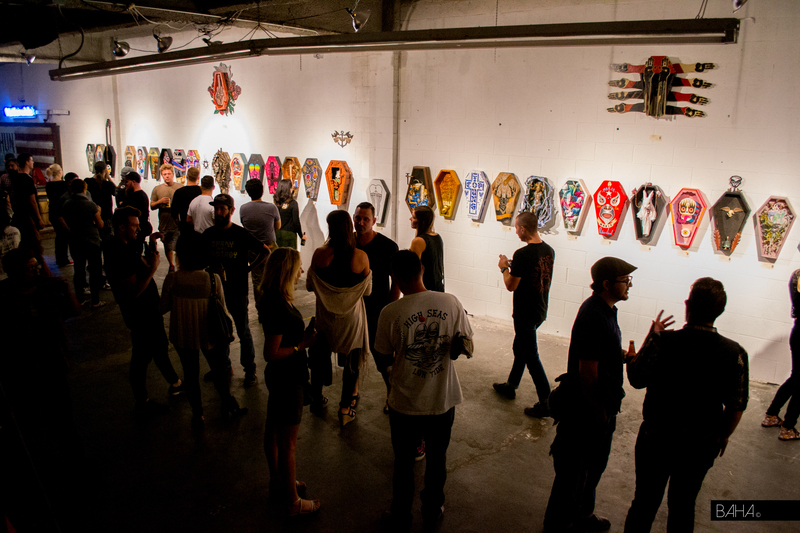 They celebrated another successful event and created a visually compelling gallery of caskets called the Boxes Of Death. 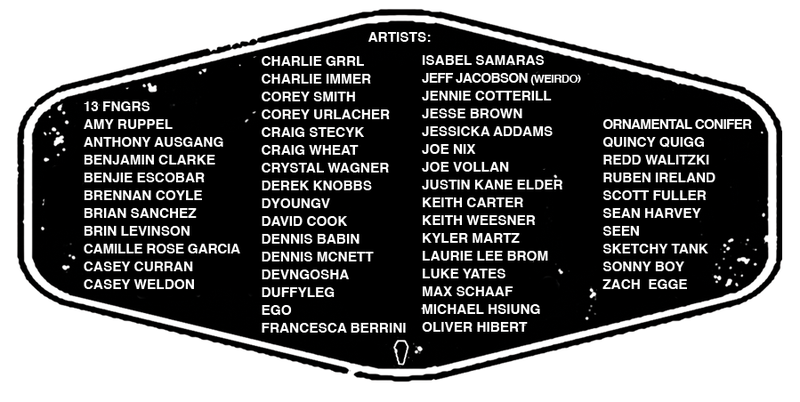 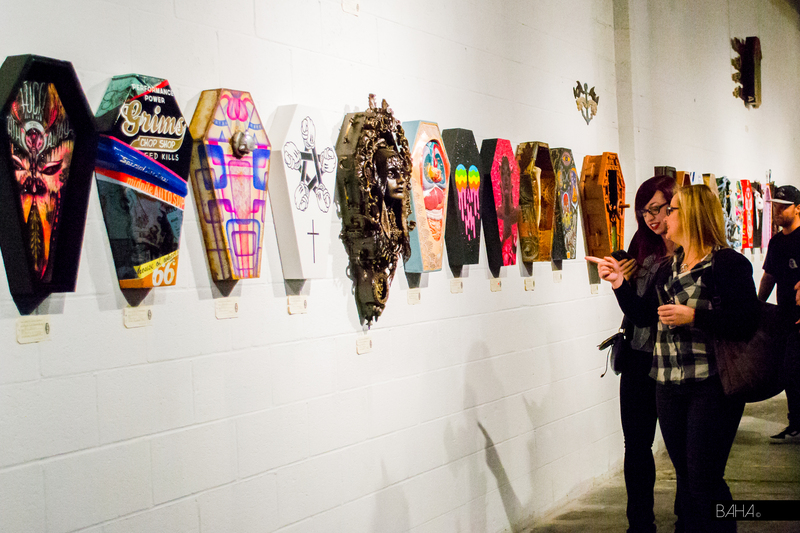 Boxes of Death now in its 5th year, is a traveling art exhibition where 50 artists are each given their own coffins to explore and design meticulously. 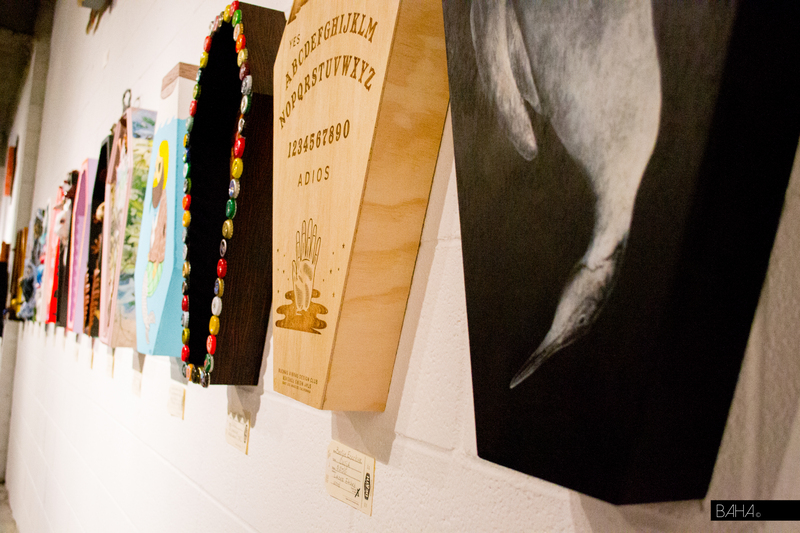 The idea was inspired by Kane Quaye, a famous coffin maker from Africa. 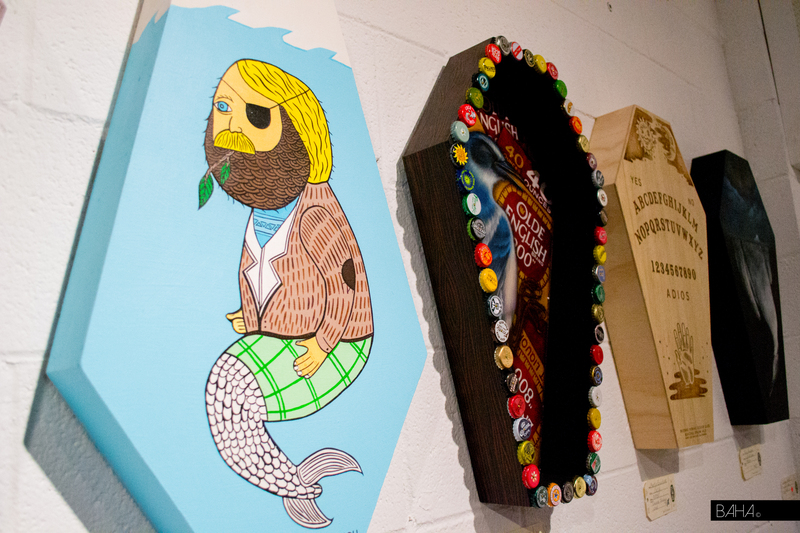 His philosophy was that a coffin should not just be a pine box, but something that represents the person inside. 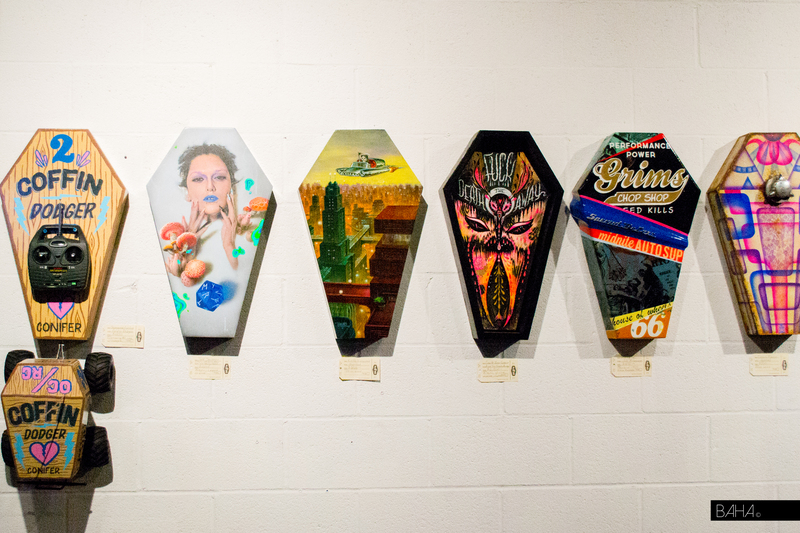 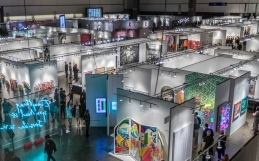 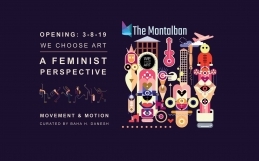 Each artist in the show uses the same coffin canvas format to create their own artistic statement surrounding the preconceived notions and ideas of the coffin shape. 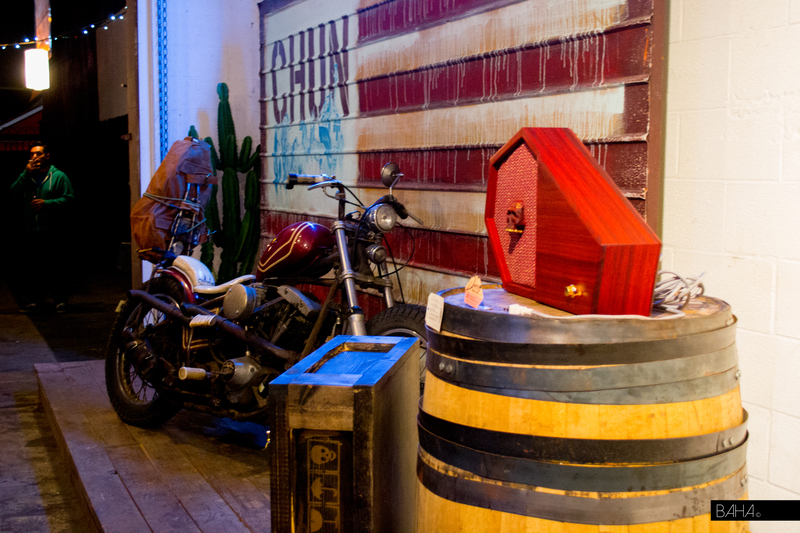 The people in the show have a chance to step out of their comfort zone, face the idea of death, and react to it in a creative way. 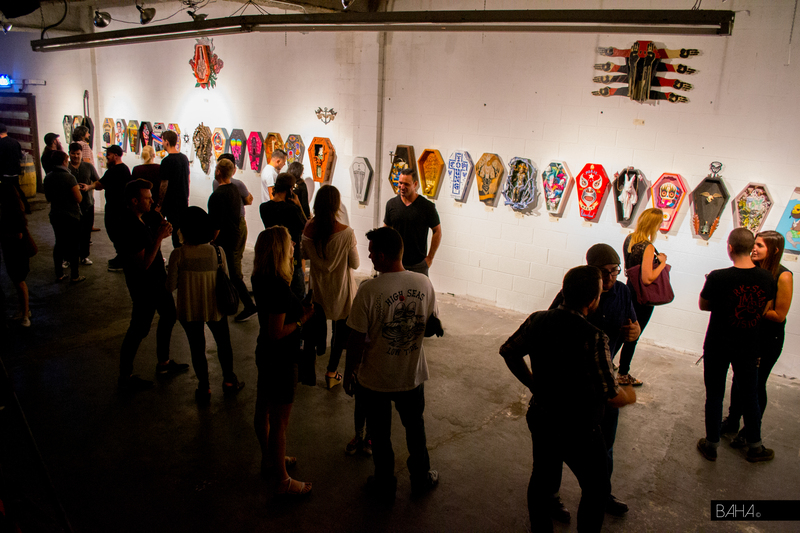 The artworks on the walls were fearless and intuitive. 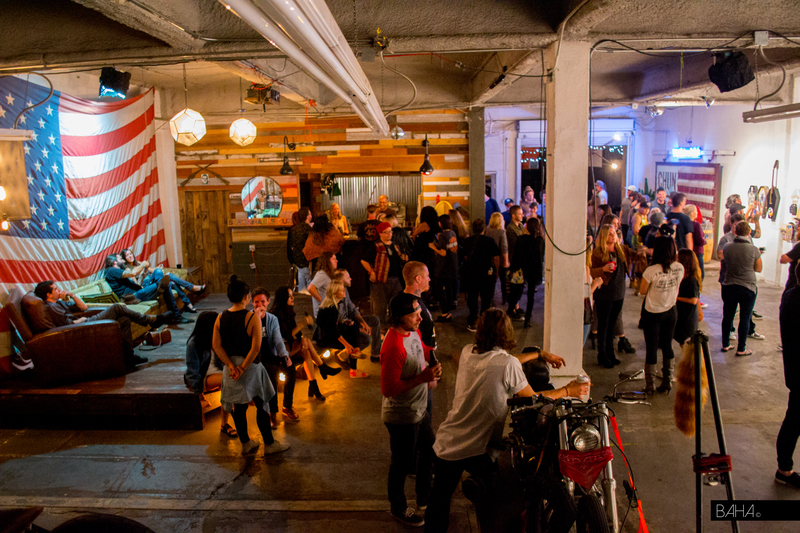 Industrial elements like concrete, resin, and steel were simultaneously mixed with organic elements like natural wood and human interactions. 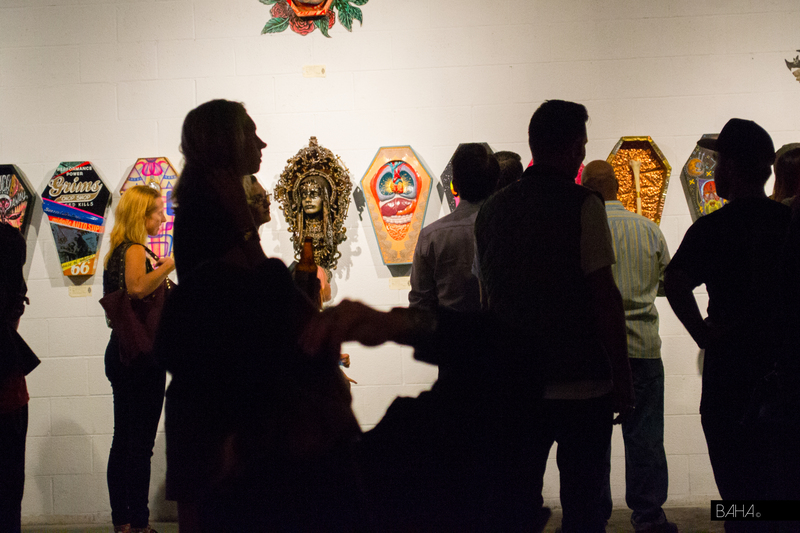 Each coffin was visually stunning and unique in its own way. 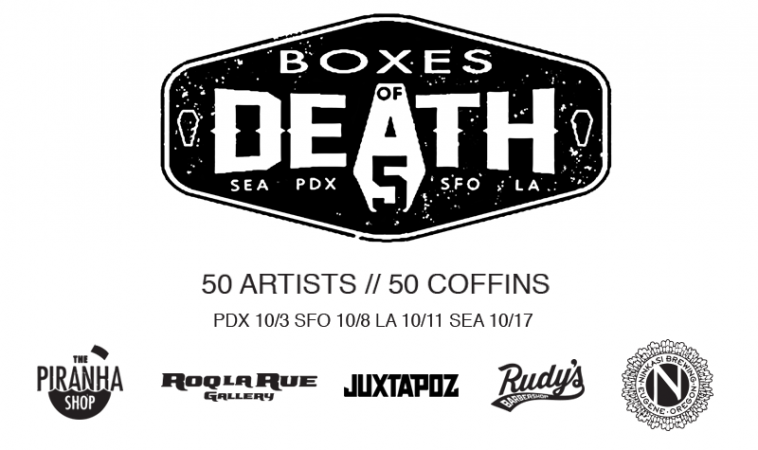 The event was sponsored by Rudy’s and Juxtapoz, co-curated by Roq La Rue, the 2014 Boxes of Death tour has grown to include 50 artists and has evolved into a four stop tour which ended in the birthplace of Boxes of Death in Seattle. 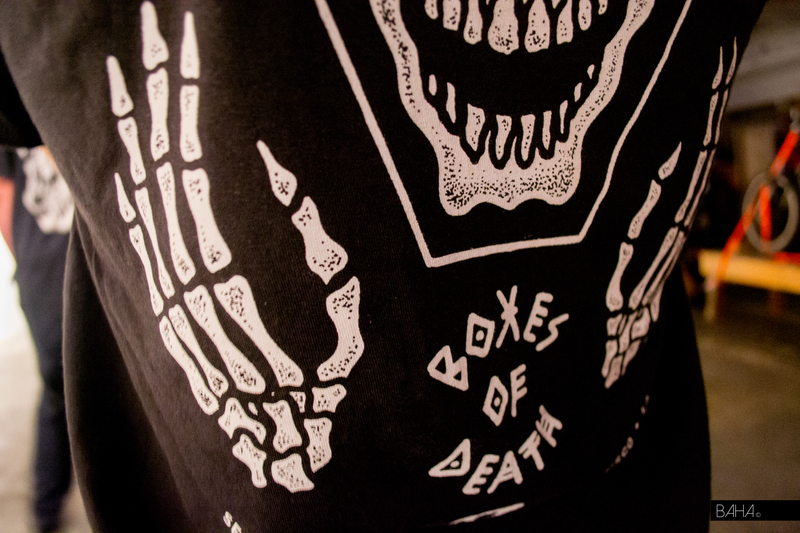 For more information about Boxes of Death please visit their website at Boxesofdeath.com or check out their video.